I love avocados. It's fun to find new ways to incorporate them into recipes. You might have noticed I've been on a smoothie kick (here and here). 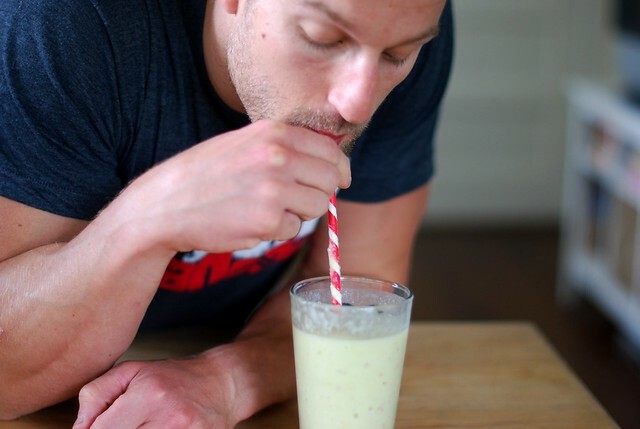 So naturally when I came across Honest Fare's recipe for an avocado smoothie I had to try it. I made a few tweaks to her recipe. I prefer to use honey over agave nectar so I added a bit of honey and less agave. I also added half of a banana to make it even more creamy and sweet. It turned out great and was a nice change from my kale and spinach smoothie. Note: I did not throw in the avocado with the skin. I squeezed it into the blender. Ohh I love avocado and I will use any excuse to eat them!! Yum! I'll have to try that one... my usual smoothies are getting a little boring. 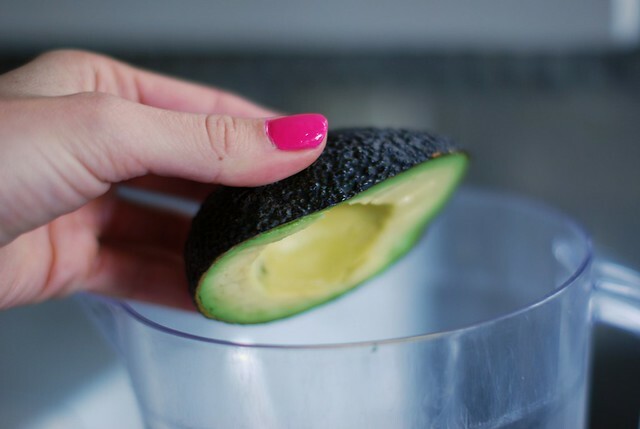 I'm not a huge avocado fan, but this actually looks AMAZING -- creamy and delicious! avocados are my favorite! can't wait to give this a try. I'm an avocado lover myself. And like you, I will find any excuse to incorporate them into everything! This sounds very tasty and I like the addition of the apple and banana. I bet that made it taste even more amazing. mmmmm yummy yummy! love smothies!! I love avocados but I never would have thought of having them in a smoothie, it is certainly an interesting recipe! Are you saying I shouldn't be adding ice cream to my smoothies? lol! i need to go out and buy some avocados now! this looks creamy & dreamy haha! I love avocados. I never thought of putting them in a smoothie before. Great idea! Wow avocados and apples?? Why didn't I think of that?? We have a recipe that uses Avocado and condensed milk (very French/Vietnamese)...a total killer combo, but no so friendly on the wasteline...this is great! Can't wait to try it out! I am hesitant. But, I do love avocados ... 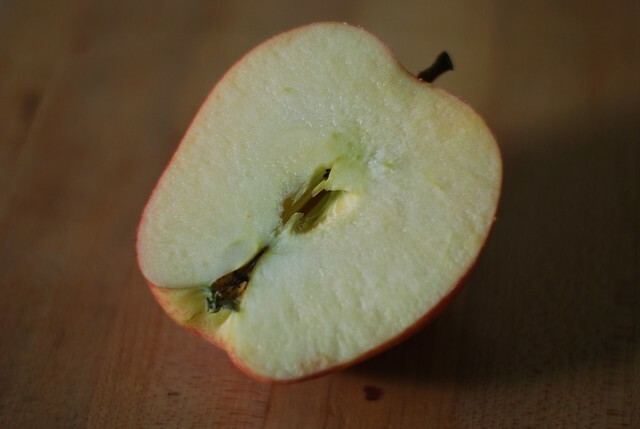 I bet you the apple does the trick to make it fruity. I will trust your word :)!! XO! Thanks for sharing! Love your healthy recipe suggestions. ok that sounds really good! Can't wait to give it a try! 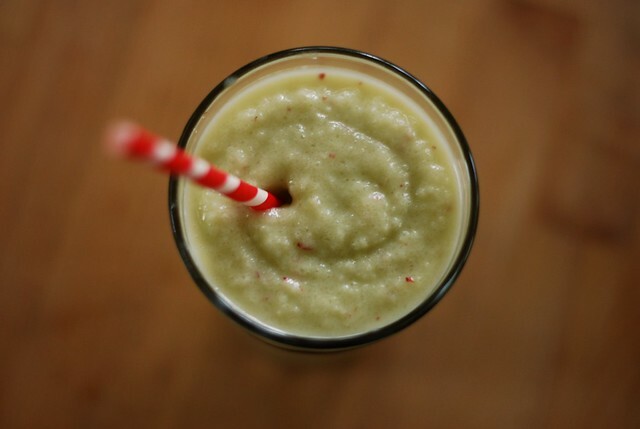 I love avocado, but I never thought of making an avocado smoothie! Interesting!! I have some avocado´s lying around so I´m definitely going to try it!! I'm gonna have to try this. I'm not really a fan of avocado but this smoothie sounds good :) and i'll probably add a banana to it as well. im obsessed with avocados, but never imagined a smoothie!! My friend makes avocado margaritas! They're so delicious. Give it a try -- add avocado to the traditional marg recipe. I love avocados too!! One thing you should really try them with is strawberries. The flavors come together so wonderfully. I don't know about in a smoothie, but I've just cut them up into same size pieces and added just a little honey for a salad and have also put that on bread for a super tasty sandwich. Try it! Ooh, I will have to try that! I've thought about adding avacado (rather than spinach or kale, ha!) but I haven't actually tried it yet!